Enjoy a unique, immersive experience in the French Alps! From huge fields of lavender to the Mont Blanc massif, the Alps provide a setting for unforgettable adventures, a veritable Odyssey in wild spaces, with starkly varying terrain. Go out to meet the inhabitants of the Alps, and fill up on emotions! Head off in the footsteps of the great travelers, climb the mythical mountain passes of the great cycling champions, visit the dizzying heights of the glaciers, and adventure down the secret paths of Haute-Provence and discover the people and know-how of a destination with many faces. On foot, by bike, motorcycle, car… or horseback. Feel like a breath of fresh air? Ask for a copy of the Map! 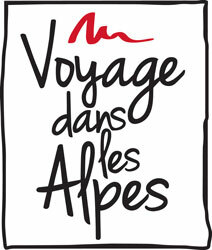 Ask for the map “Voyage dans les Alpes”!